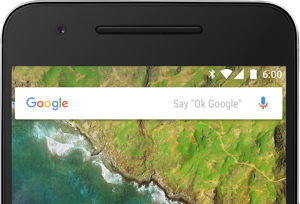 Today Google unveiled the Nexus 6P. Having partnered with manufacturer Huawei to build this latest device, the Nexus 6P is the first to run Google’s most up-to-date version of its Android operating system — Android OS 6.0 Marshmallow (or “Android M”). Tech specs for the Nexus 6P include a large 5.7-inch (1440 x 2560-pixel) AMOLED screen with Corning Gorilla Glass 4 and 16 million colors. The rear camera offers a 12.3Mp resolution on a 1/2.3”-type sensor, video resolution of 2160p at 30fps, and a lower-resolution front-facing 8Mp secondary camera. Other features for the Smartphone photography enthusiast include laser autofocus, LED flash, stabilization, face detection, HDR+, GEO tagging, and a built-in picture editor. Available with either 32Gb, 64Gb or 128Gb internal storage. We’ve put a pre-release sample of the Nexus 6P through our industry-standard image quality tests prior to today’s launch and are delighted to bring you the results. With a DxOMark Mobile score of 84 points, the Google Nexus 6P slips into 2nd place overall in our database. Samsung’s S6 Edge continues to lead the way in first place with 86 points overall, with LG’s G4 just behind the Google Nexus 6P in third place with 83 points. 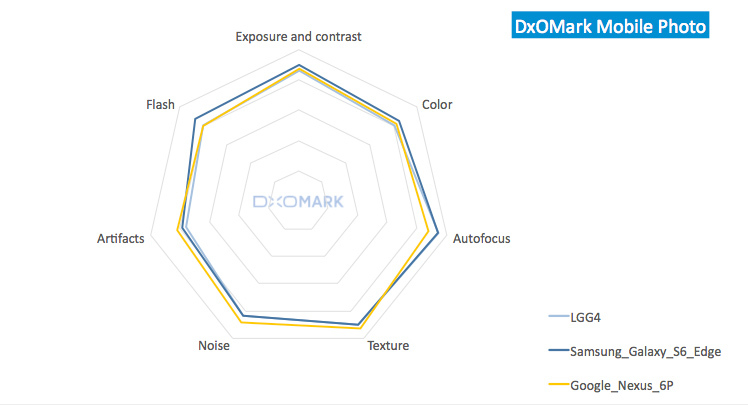 A more detailed analysis of the photo and video sub-scores that feed into the overall DxOMark Mobile score shows that the Nexus 6P is stronger for stills than for moving images. With a photo sub-score of 86 points, the Nexus 6P ties with the LG G4 for photo quality, just behind the Samsung S6 Edge with 88 points. 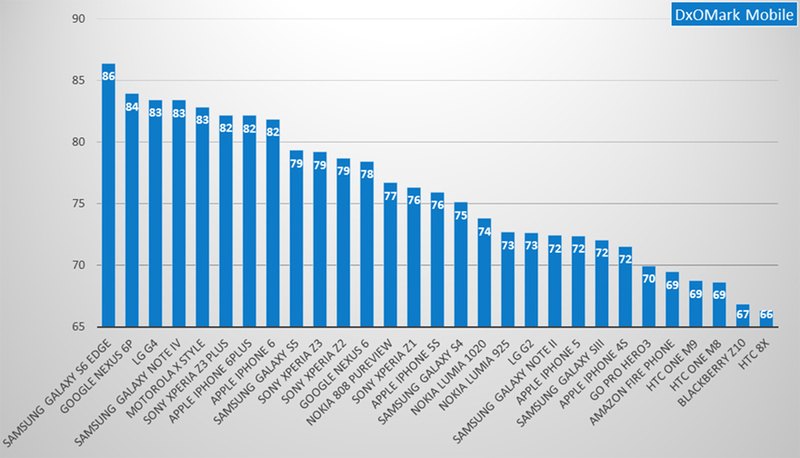 For video image quality, however, the Samsung S6 Edge is clearly ahead with a video sub-score of 84 points, compared to 79 points for the Nexus 6P and LG G4. Images from Nexus 6P are for the most part well-exposed, with accurate white balance and pleasant colors, particularly when shooting outdoors. Some exposure failures did occur when shooting high-dynamic scenes, resulting in the loss of detail in the very brightest parts of a scene. The Nexus 6P really excelled for detail preservation on images shot both indoors and outdoors. 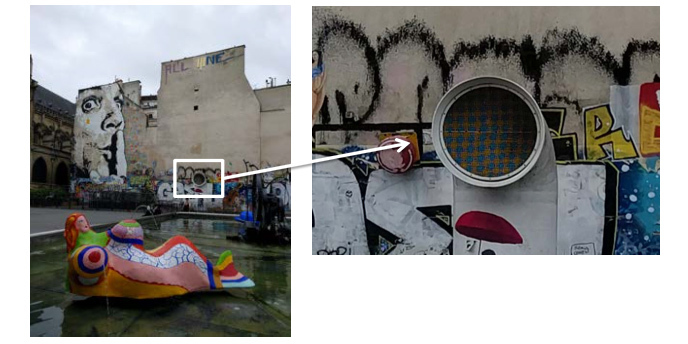 Images captured under low light conditions on Google’s latest device recorded some of the finest detail we’ve observed from a Smartphone to date for such lighting condition. These exceptional results were achieved thanks to the HDR+ mode activation for lowlight shot. This software mode turns into a very efficient TNR algorithm in lowlight. However, it causes some artifacts as it cannot be activated after a high number of shot in rapid succession. 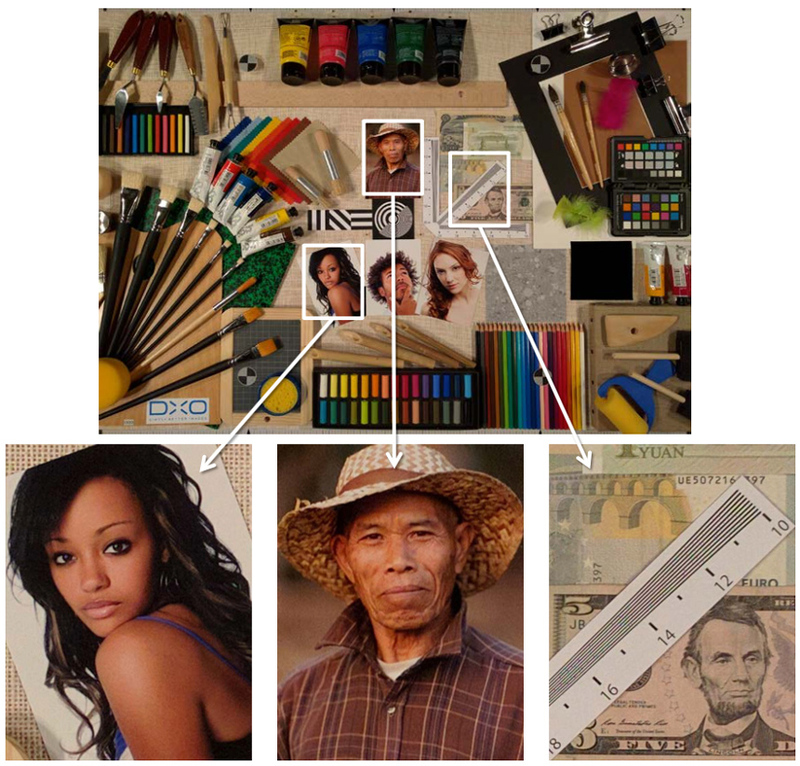 This could lead also to some irregularities in exposure, color and texture across consecutive images shot under low light. Good detail preservation continues when using the LED flash indoors. The flash is well-centered, but when used as the only light source, light drops off noticeably in the corners. Although this is less of a problem when mixing flash with ambient light sources, the corners are still a little darker than we’d prefer. On the plus side, however, when mixing flash with a tungsten light source, white balance remains accurate and colors remain pleasant. We found the Nexus 6P’s laser autofocus system to be fast and accurate under both bright and low lighting conditions. Some instability occurred in very bright light, with autofocus hunting observed in both the macro and infinity positions. The shutter was also occasionally triggered before autofocus had fully locked on, resulting in some out-of-focus exposures. 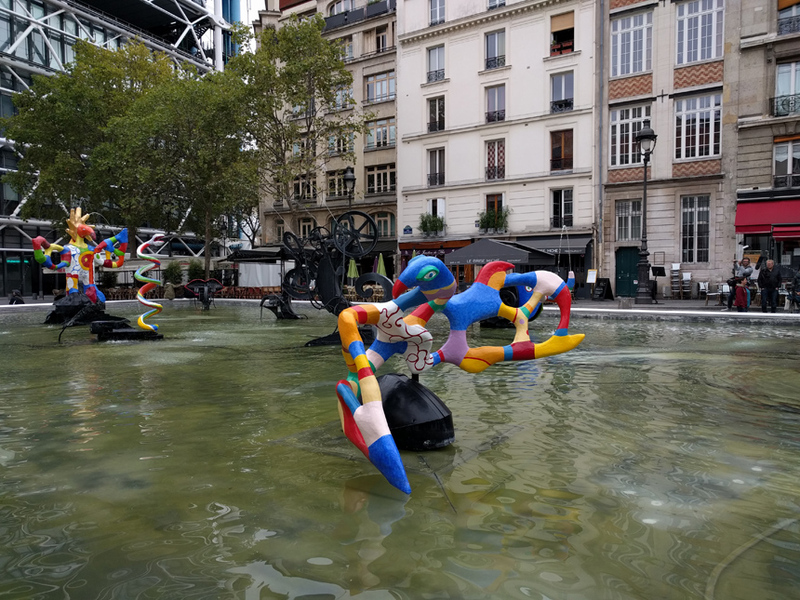 These instances were the minority, however, and in general the 6P’s autofocus was accurate, and particularly so in low light, where we found it very stable. Shooting in good lighting condition,s white balance is generally accurate with pleasant colors, although we recorded some inconsistencies between consecutive shots. Color shading is clearly visible when shooting under a 20 Lux tungsten light source. 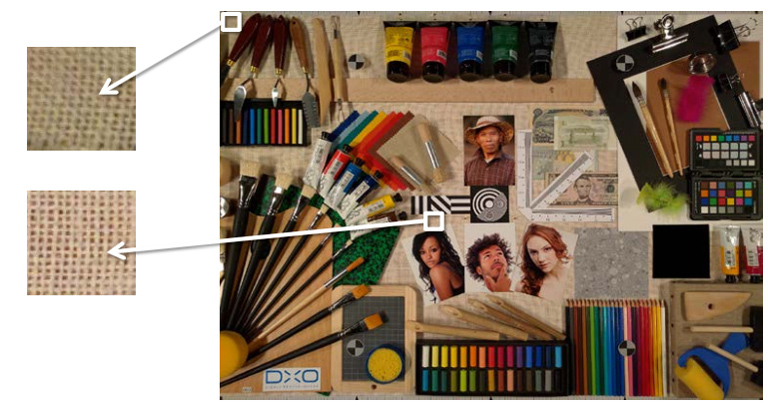 Images are generally well-exposed, but in scenes with high dynamic range (left & center), highlights are over-exposed. In extreme low-light conditions of just 5 Lux (right), the exposure is still a little under-exposed but usable. A strong moiré effect is clearly visible in areas of very fine detail. In pictures shot under good lighting conditions, good detail is preserved with only a slightly noticeable buildup of noise. Preservation of detail under low light (20 lux) is equally impressive, with fine detail recorded, although some luminance noise is also noticeable. We recorded slight color fringing along high-contrast edges, but the effect is well-controlled compared to many mobile devices. The Nexus 6P captures videos with a pleasant overall feel. Its strongest aspects when capturing moving images are exposure, white balance, and color rendering. In fact, noise levels are also handled better on video footage from the 6P compared to its still images, and this applies to video shot in all lighting conditions. On low-light videos, however, there is a noticeable loss of fine detail and color shading is visible in the shadows, too. As is the case across many mobile devices, a strong “jello’ effect” caused by the phone’s stabilization system makes videos captured while moving a little unpleasant to watch. 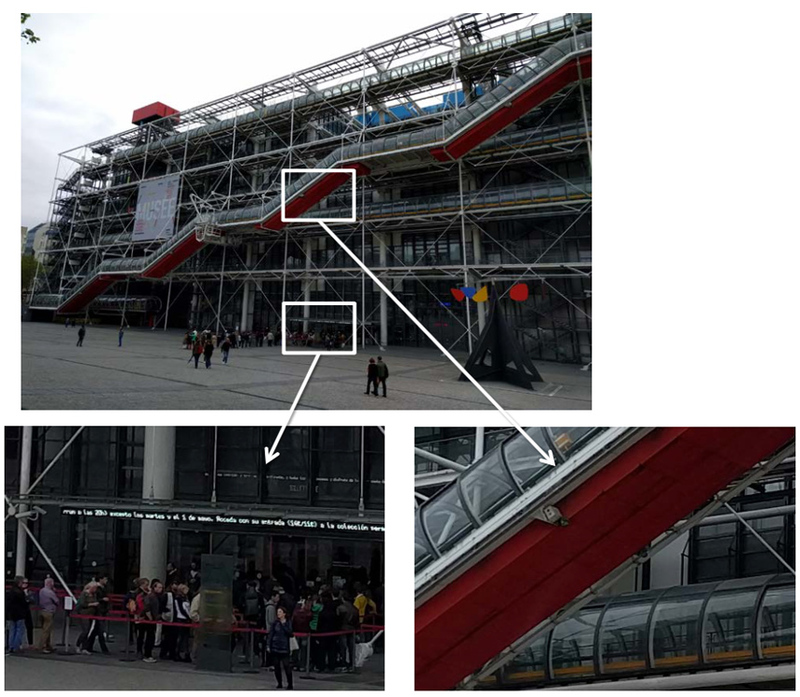 Some autofocus inconsistencies were noted on video capture, too, with refocusing occurring when focus tracking and when lighting changes. -Impressive detail preservation in low light conditions, by far the best tested to date. -Good detail preservation in outdoor conditions. -Accurate and fast autofocus in all conditions. -Good white balance and color rendering in outdoor conditions. -Flash: Good flash behavior with good detail preservation, white balance and color rendering. -Good global exposure, white balance and color rendering. -The autofocus is fast and accurate. -Low noise level in all conditions. 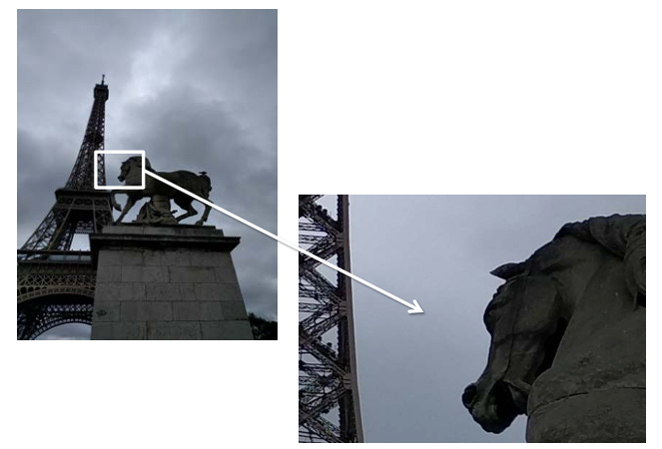 -Visible irregularities in exposure, color, texture and noise due to HDR+ mode activation in low light conditions. -In high dynamic scenes, the highlights of the images are occasionally blown out. -When triggered, the shot is taken before the autofocus has converged. -The strong jello effect due to the stabilization provides unpleasant videos during motions scenes. -Refocus are visible under illuminant changes and thefocus is lost during tracking movement. -Fine details are lost in low light conditions. -Color shading is visible in low light and indoor conditions.